Isaak went to preschool last week. This is his second year. Since we both work, we don't deal with daycare, we need to keep our kids busy. 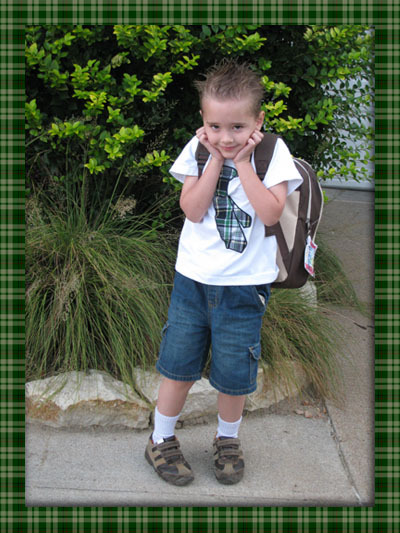 Isaak loved school so much last year he asked everyday, "Can I go to preschool today?" This year he's in 2 different schools, 2 days each. It's only for a few hours each day. I think he'll love it. He looks so cute. I hope he has a great year! He's so cute!!! And a very awesome back-pack. Hope he has a great year! He's such a cutie! Hope he has a great time at school! Enjoy the new school year! Real cute pictures of Isaak! It is great that he loves school. I wish him a successful year. Thanks for hosting. He's adorable! Love his tie shirt! I hope he keeps his positive attitude about school for many years to come. He's so cute!!! We started later too! He is sooooooo cute! Wishing him a wonderful year ahead! This is a great picture, he looks so happy and handsome! Your lucky to have a child that loves school. Not all kids do as I'm learning myself. How awesome that he loves school!! He's so cute! I bet he had so much fun! He's adorable!! I'm really glad he looks so forward to it! Very cute and I love that shirt. 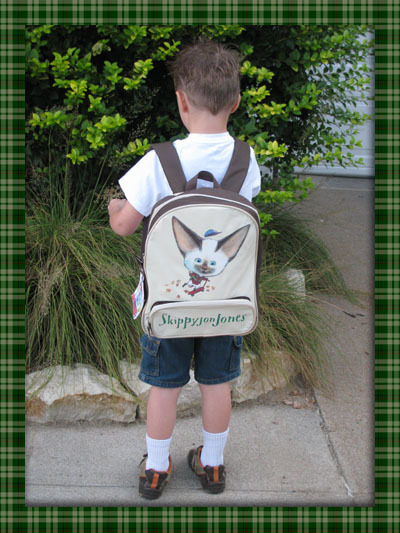 It is so much better having a kid that wants to go to school instead of crying every morning because he has to go. After signing G up for little summer camps at the Y that she loved, I really need to find something she can go to the rest of the year that doesn't break the bank! I like his backpack. We got some of the books that Kohl's had for five dollars but right now G is just too young for them. How Do You Remember People?